AV Preeminent Litigation Attorney with over 25 years of experience in Investigation, Litigation, Trial, Resolution, and Appeal of Commercial and Personal Injury disputes including Oil and Gas, Admiralty, Aviation, Intellectual Property, Employment and Commercial disputes for international and domestic clients. Selected to Texas Super Lawyers, 2014 and 2015 (Marine and Transportation Litigation); Top Houston Lawyers, H Texas Magazine, 2012-2014; Texas Law Foundation Member. Mr. von Sternberg has successfully handled investigation, litigation, trial and appeal for both injured plaintiffs and defendants specializing in local and international maritime, oil and gas and aviation disasters. He most recently was instrumental in the successful investigation and defense as trial counsel on behalf of Halliburton in the massive Multi-District Litigation and trial arising out of the BP Macondo/MODU DEEPWATER HORIZON tragedy and oil spill. 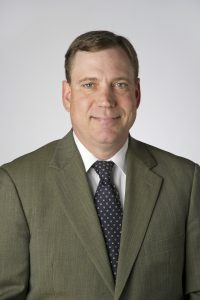 His experience in commercial litigation includes disputes over intellectual property matters, joint operating agreements, fiduciary claims, partnership agreements, employment disputes and failed real estate transactions. Mr. von Sternberg has handled arbitrations, litigation and trials in Florida, Louisiana, New Mexico, New York, Oklahoma, Texas and appeals through the Texas Appellate Courts, the Fifth Circuit Court of Appeals and the United States Supreme Court.